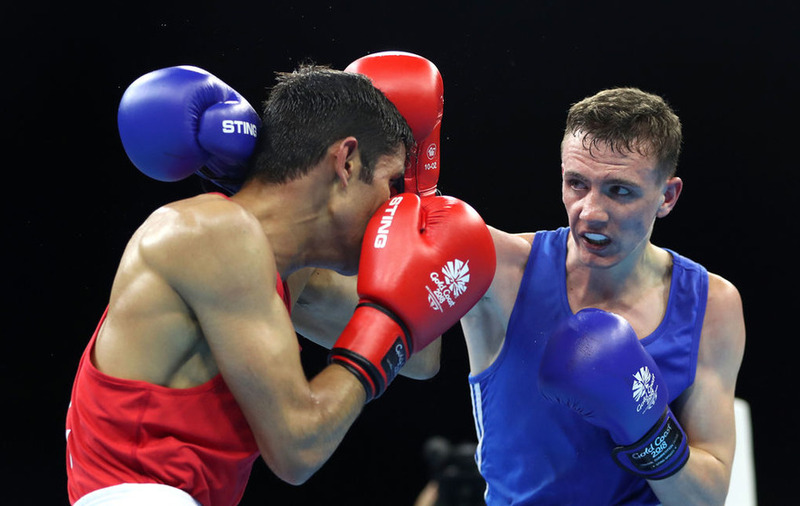 A BROKEN hand may have kept him outside the ropes since the end of last year, but Conor Quinn is aiming to bounce back in the coming weeks before making a push for the European Games in June. 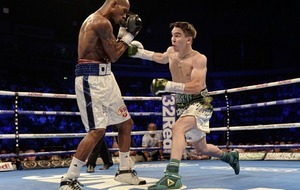 The Clonard flyweight suffered the injury three weeks after returning from the European Union Championships in Spain last November. 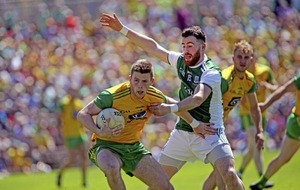 Quinn had hoped to make his comeback at the Irish Elite Championships but, after the hand problem flared up again, he opted to take his time rather than rushing into a return. He is hoping to back in Dublin in the near future as attention turns to the European Games in Minsk, where he will be up against the likes of 2015 European Games silver medallist Brendan Irvine – also on the comeback trail after a long spell on the sidelines - and reigning Irish champion Adam Hession for the 52kg spot. “I was told at the start of the year there would be a lot of assessments,” said the 21-year-old. 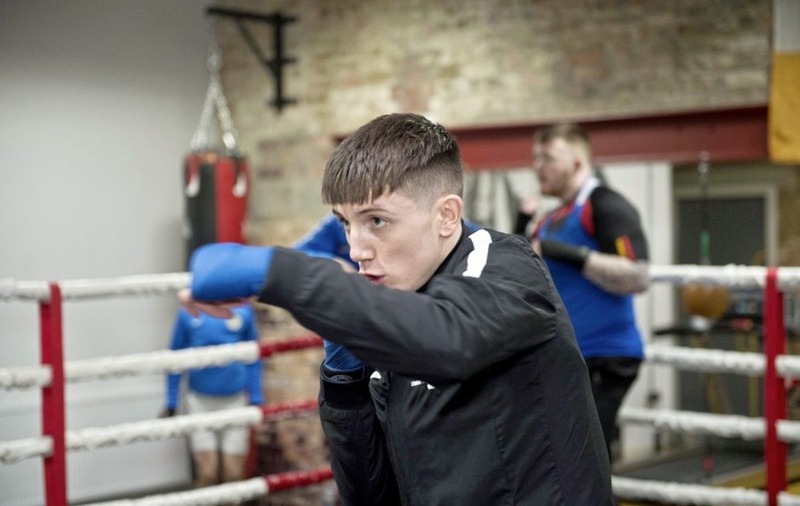 “There’s been a big change in Dublin… last year you were going down, training and sparring and doing what you had to do, but this year the spars are being assessed, as well as certain other things. “It’s good having that because when you’re going down for training, obviously you’re still putting in 100 per cent, but when you’re being assessed and there’s someone beside you who wants the exact same thing as you, it gives you that competitive edge. Quinn admits he thought it was “the end of the world” when he realised the Irish Elites had come too soon. However, Ulster High Performance head coach John Conlan helped keep things in perspective as he targeted a return between the ropes. “After the EUs, we were told to take three weeks off and then they were giving us a plan for the 10 weeks or so up to the elites. 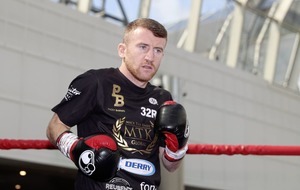 “The first session back, I was only hitting the bag – it wasn’t even a hard session – but whatever way I hit it, I took my glove off and my hand was swollen up. I knew there was something wrong. “When it happened it came as a big shock to me, I thought me missing the elites was the end of the world. It’s one of the only injuries I’ve had. 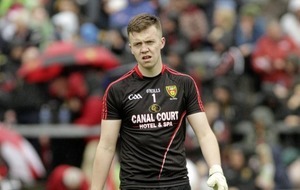 John Conlan helped massively and put everything into perspective. “As soon as I made that call, I was able to go into a sort of rehab with John and train with him and Damien Kennedy every day, so we were just building it back up then. “We were doing what we could, hit the paddles, then the pads and bags and it looked like it was all going well. 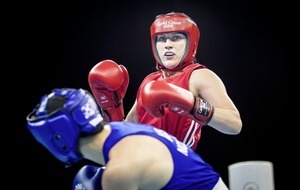 BELFAST’S Michaela Walsh has set her sights on wrapping up Olympic qualification this year after creating Irish boxing history in Germany on Saturday. 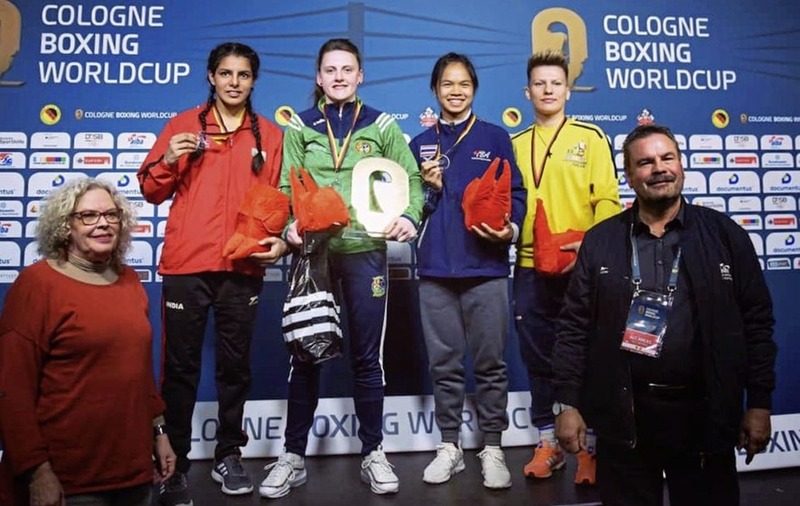 The Monkstown featherweight became the first Irishwoman to claim Chemistry World Cup gold after defeating India’s former World Youth champion Sakshi Choudary on a unanimous decision in Cologne. And, with Tokyo 2020 qualification up for grabs at the World Elite Championships in Russia in October, Walsh is a woman on a mission. “I came here to perform to the best that I can and it’s a bonus winning a gold medal," said the two-time Commonwealth Games silver medallist. Fellow Belfast woman Carly McNaul was unlucky not to make it a double gold medal celebration after being edged out by Armenia’s Anush Grigoryan on a 3-2 split decision in the flyweight final. Dublin heavyweight Tony Browne dropped a unanimous decision to Russia’s Muslim Gadzhimagomedov, while Joe Ward took home bronze after his controversial semi-final exit at the hands of Germany’s Abu-Lubdeh Abdulrahman. Ulster trio James McGivern and the returning Brendan Irvine and Kurt Walker all bowed out earlier in the competition. 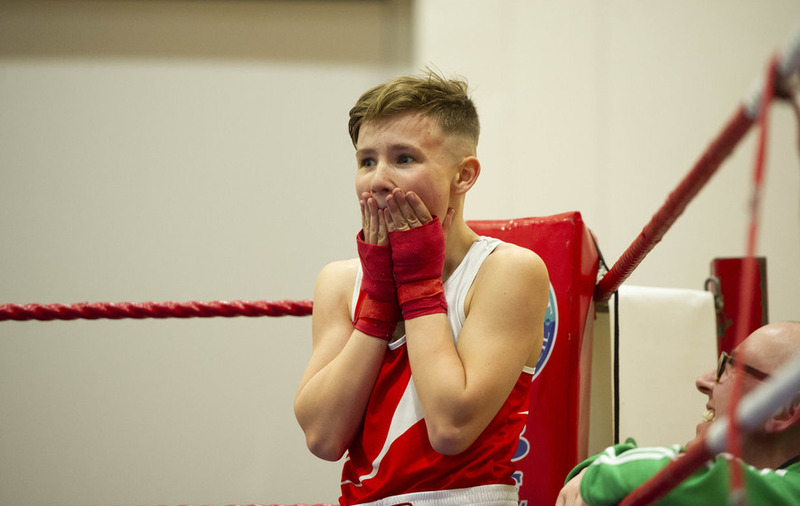 “Fantastic performances from Michaela, Carly and Anthony and we’ve won four medals,” said IABA High Performance director Bernard Dunne, who took home bronze from the 1998 Chemistry World Cup. Russia, Germany, Ireland and Cuba - in that order - finished in the top four in the medals table at the 21-nation World Cup. 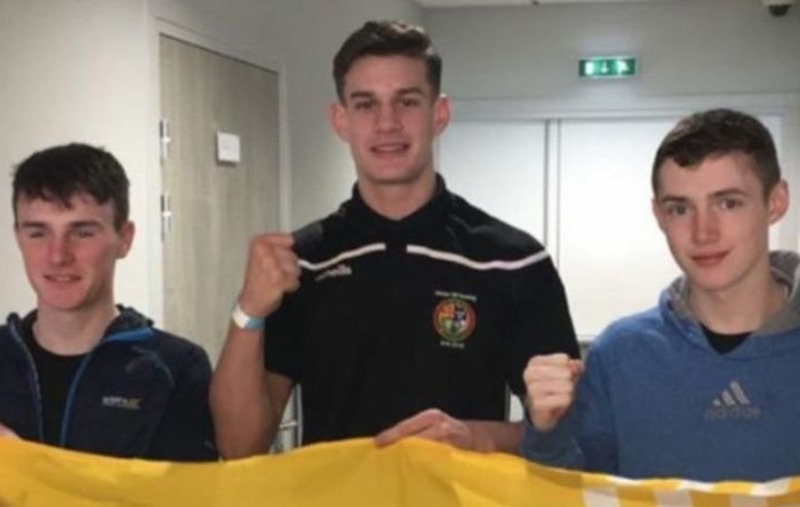 In Sweden, meanwhile, Aidan Walsh – younger brother of Michaela – made it a perfect weekend for the family when he was a unanimous winner over Adolphe Sylva. Michael Nevin recorded Ireland’s only other win, with defeats for Aoife O’Rourke, Thomas O’Toole and Kirill Afanasev as the Swedes edged to victory. 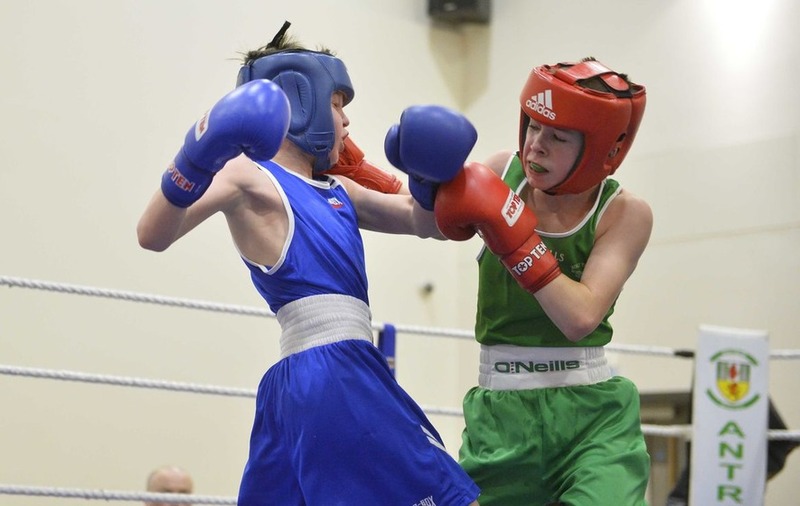 COUNTY Antrim trio Colm Murphy, Dylan Duffy and Paul McCullagh jr banked some vital international experience at the Montana Belts tournament over the weekend, despite returning home empty-handed. Fourteen nations, including Brazilian and Canada who had made the longest journeys, entered in the competition. 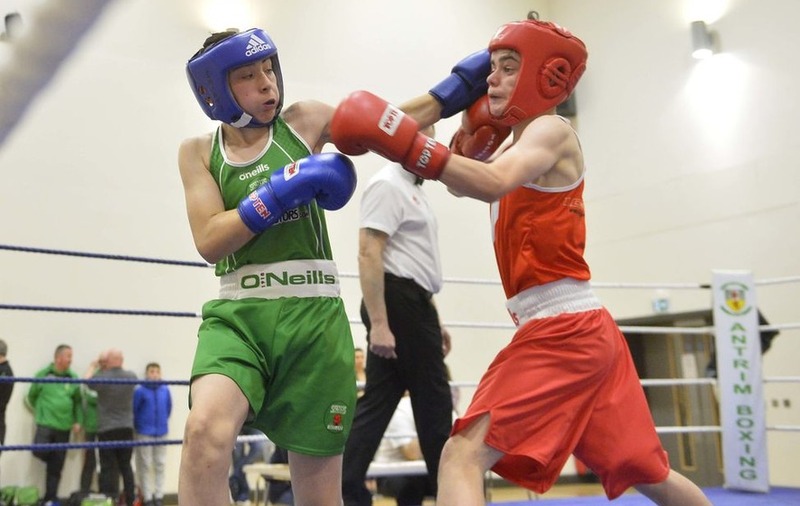 All the Co Antrim boxers were drawn to fight on the opening day, Murphy and Duffy in quarter-final action with McCullagh handed a straight semi. St George’s pocket rocket Murphy took on the experienced Jaroslaw Iwanow, and pushed him all the way until the final round when the Pole moved through the gears to edge the decision. Duffy boxed brilliantly against Italian Gianluca Finotti, counter-punching well throughout the bout. 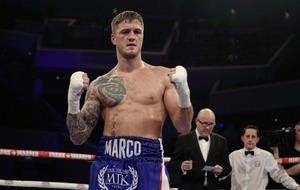 He looked to have outclassed his opponent in at least two of the rounds but unfortunately the result went against him as a surprised Finotti had his hand raised. Light-heavy McCullagh jr also faced an Italian in the semi-final and, after an opening flurry of big right hands, looked to be taking control of the bout. The referee then deemed McCullagh to have been slapping, and after only one caution a warning was given against the St John Bosco man. In many ways this turned the bout and, although McCullagh clearly won the third round, the Italian was awarded the victory. Despite disappointing results, a great trip was had by all the team, which also included top coaches Danny Boyd and Paul McCullagh sr along with referee and judge Chris McCrory. On finals night, the Co Antrim team all attended to cheer on Armagh welter Eugene McKeever – representing a Dublin team - as he defeated a tricky opponent from Monaco.